← New edition out now! 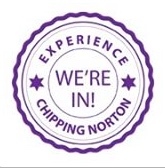 There is still time to submit your views on proposed changes to the Chipping Norton Conservation Area. West Oxfordshire District Council (WODC) has been running a consultation exercise on the changes, which include extending the area covered so that it will include The Leys. This will impact on changes that can be made to buildings, as well as affecting proposed new builds. The deadline for comments is 30 June – to find out how to submit your view, go to the WODC website here. This entry was posted in news and tagged Chipping Norton, conservation area, The Leys, West Oxfordshire District Council, WODC. Bookmark the permalink.